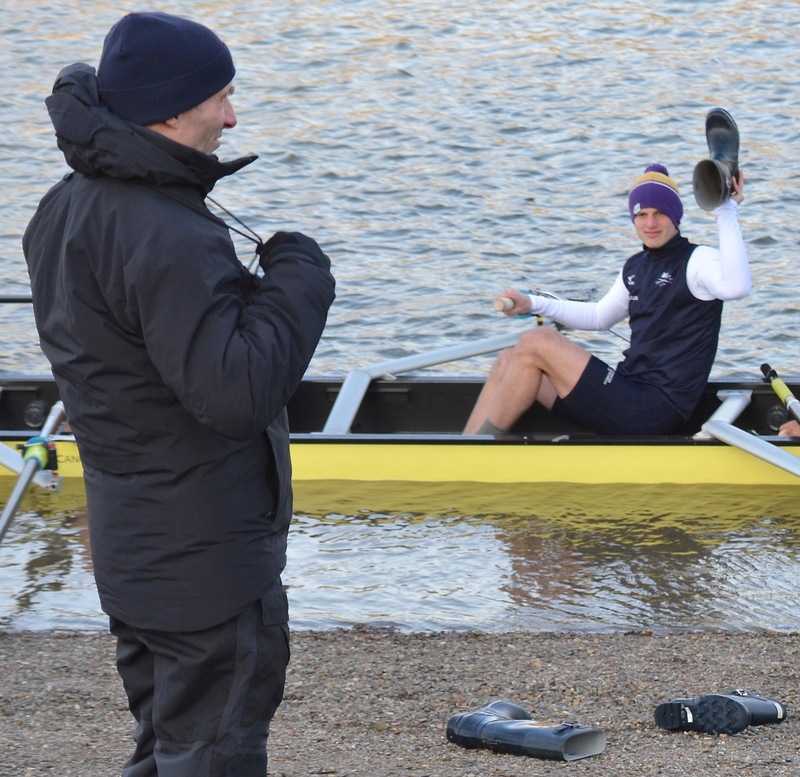 Oxford’s Chief Coach since 2000, Sean Bowden (left), is one of the most successful Boat Race coaches, winning 12 of the last 18 races. He also won twice while coaching Cambridge in 1993 and 1994. He has no fear of getting the boot. Tim Koch watches some Oxford on Oxford action. The theme tune to the long-running television soap opera, Neighbours, tells us that ‘Neighbours should be there for one another. 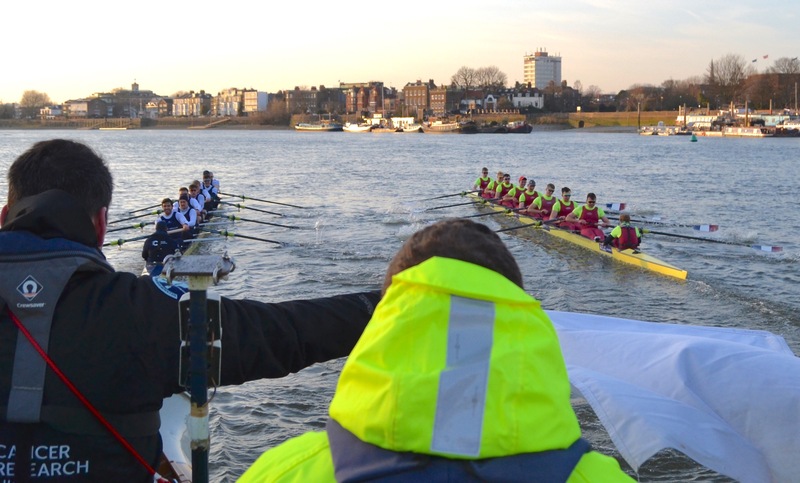 That’s when good neighbours become good friends…’ However, the crews drawn from the squads of Oxford University and Oxford Brookes University, who raced each other over the Boat Race course on Saturday, 24 February became, for a brief time at least, the neighbours from hell rather than the neighbours from the City of Oxford. 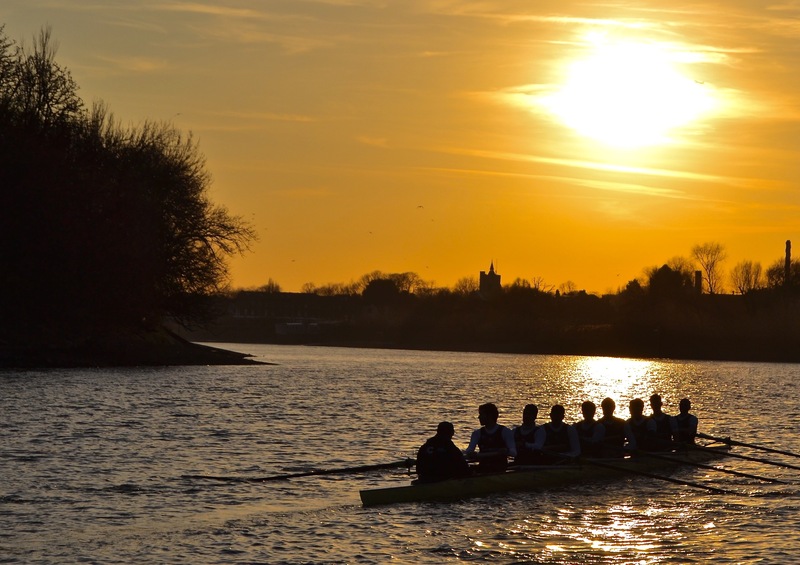 The men’s and women’s races were part of the Boat Race Fixtures, contests in which top club and student crews race potential Oxford and Cambridge crews over the Putney to Mortlake course as both a Boat Race crew selection test and as a provider of important race practice. 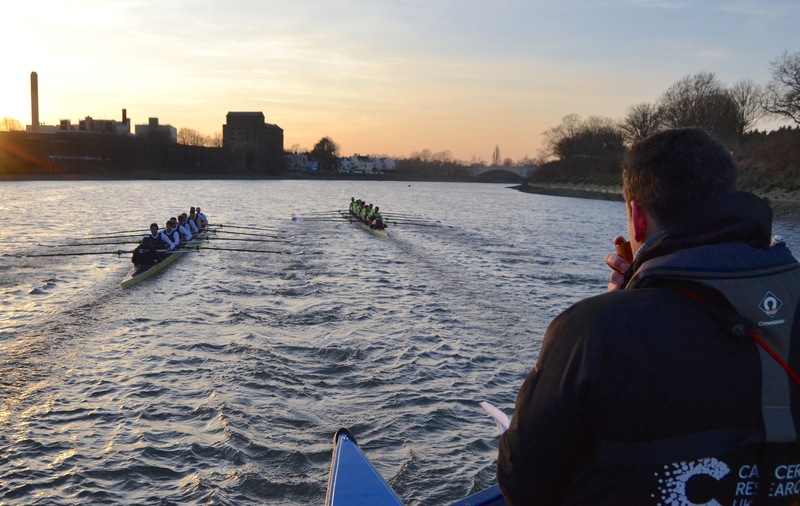 In last week’s Fixtures Cambridge successfully took on the University of London. The men’s race was deemed ‘the media event’ but, as there was no specific press launch, writers and photographers were invited onto the catamaran used by the umpire, John Garrett. It was interesting to watch him in action, close up, although most of us had a rather restricted view of the crews. 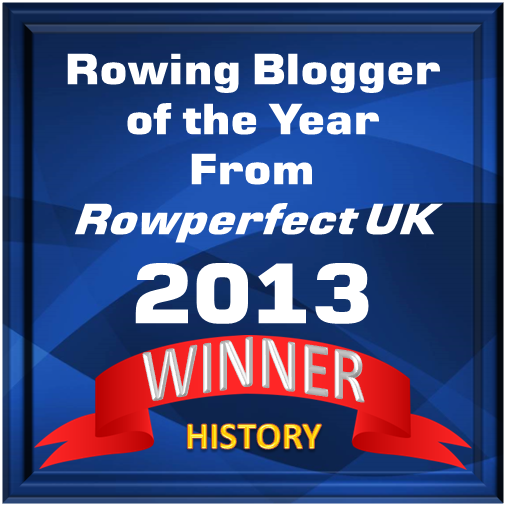 However, photographs of the races were taken from directly behind the boats so they gave an accurate idea of their relative positions – they did not suffer from the parallax errors that taking pictures from behind but at the side produces. As usual, I have used my pictures but have taken the text from the official race report on theboatrace.org (although the report itself is a good summary of what happened, I feel that it should have been a little more generous to Brookes, who were sharp, precise and confident throughout). 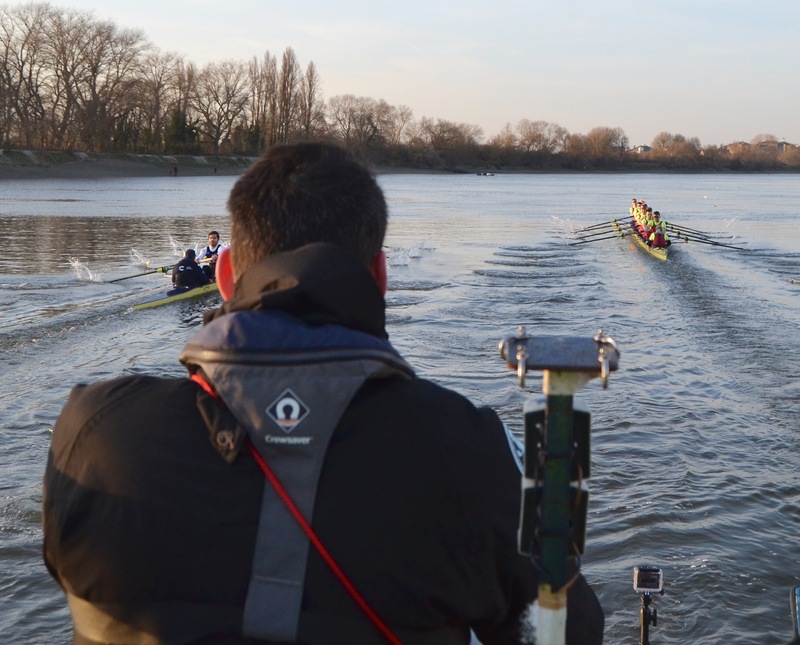 After a slightly delayed start, the fixture took place over two pieces from the start to St Paul’s School and then from the start of Chiswick Eyot to the finish. Brookes won the toss and elected to row on Middlesex. 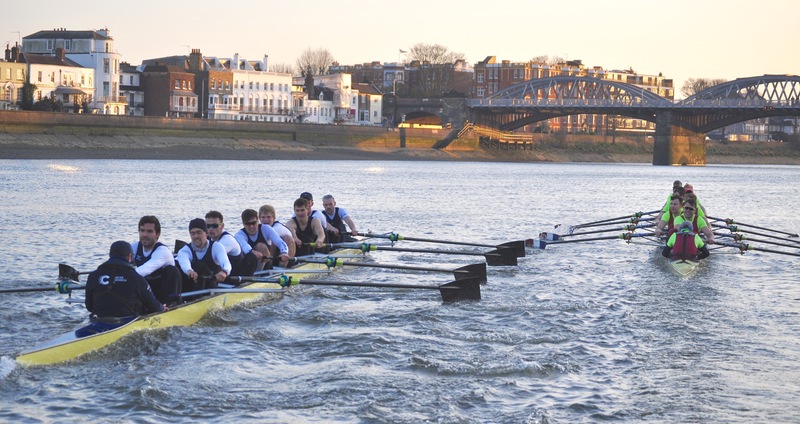 Oxford and Brookes approaching the end of Putney Embankment. 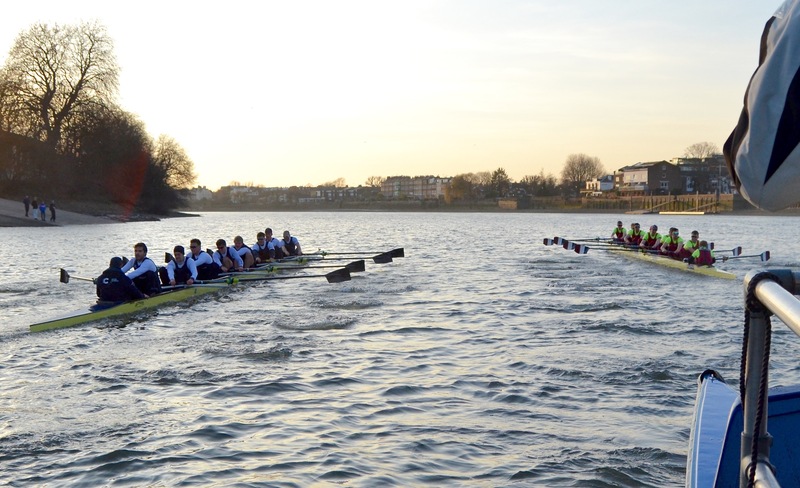 It was only as the river moved to Middlesex that Brookes managed to move ahead, gaining a lead of around a length. The wind had picked up at the Milepost, with Oxford moving better into the headwind and making their way back into the piece. Umpire John Garrett’s view past Barn Elms. At Harrods, Oxford were looking to be moving better, working their way back to level and perhaps having a slight edge once the past Hammersmith Bridge. Passing Harrods, Oxford draw level. 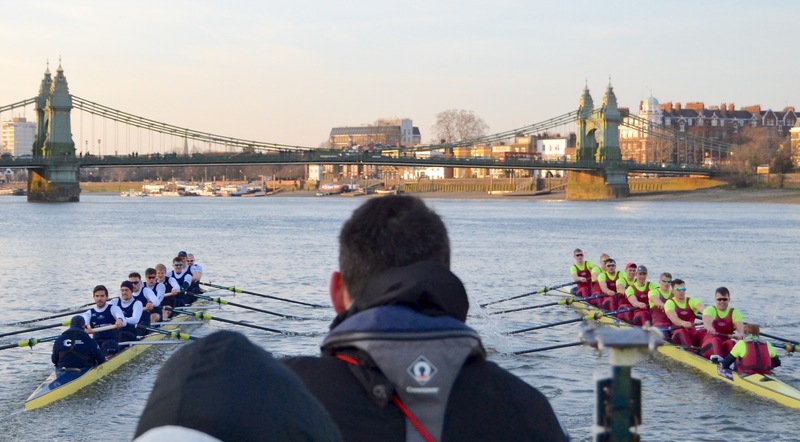 Through Hammersmith Bridge, Oxford briefly took the lead. In the final wind for the line, Oxford took a tight line to the Surrey side, possibly missing out on the best of the stream. 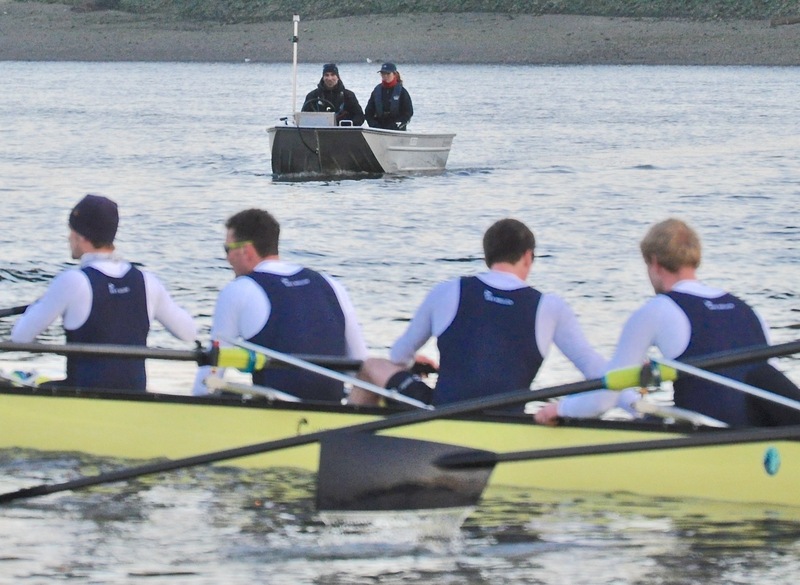 Nonetheless, Brookes quickly moved up from level with Oxford to win the first piece by almost a length. Passing St Paul’s School, Brookes are back in front. A short rest before the second piece. 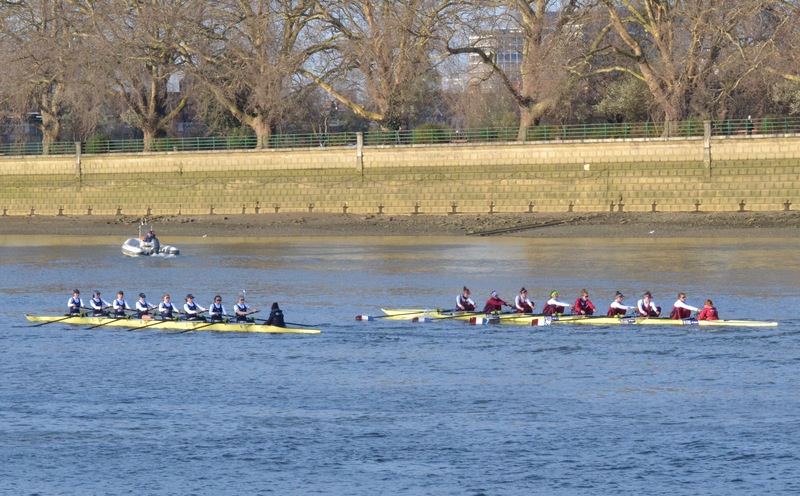 The second piece, from Chiswick Eyot to the finish, began with warnings from Umpire John Garrett and clashes of blades. Brookes came out the better and were leading by a length as the crews hit race rhythm. 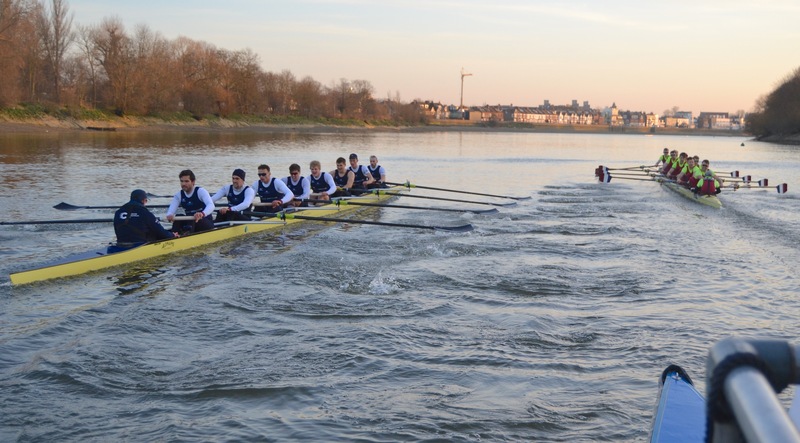 As the river moved around to Surrey, Brookes managed to hold their advantage despite Oxford’s efforts with the wind behind and river moving to Oxford’s advantage. 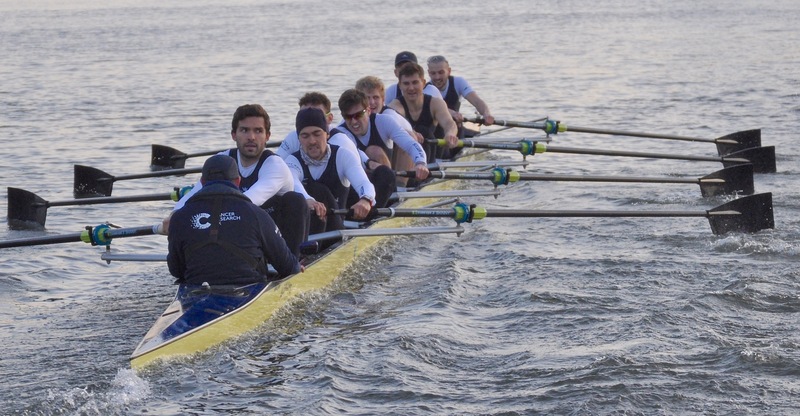 Coach Sean Bowden, vocal throughout the fixture, encouraged his crew to stay with Brookes as they made their pushes to neutralise the Oxford threat. A clash of blades at the start of the second piece. The Oxford stroke, Vassilis Ragoussis, keeps an eye on the opposition. Approaching Barnes Bridge, Brookes look happy. 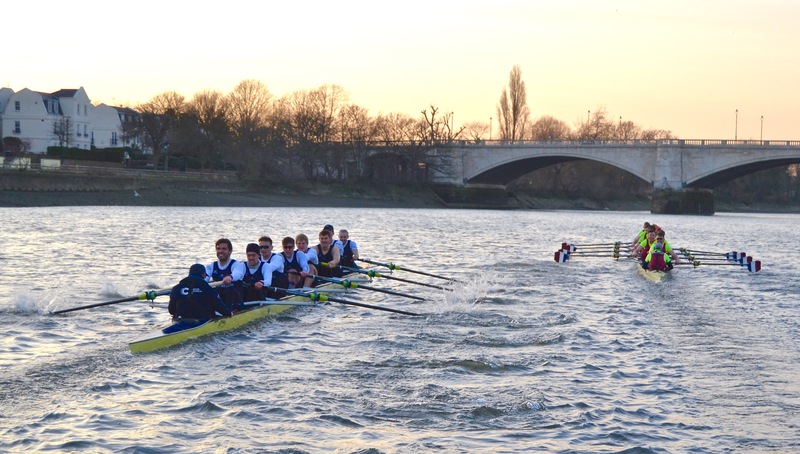 Despite the river moving to Middlesex and to Brookes’ advantage once under Barnes Bridge, they couldn’t break the Oxford resistance and lead by just under a length around the bend. 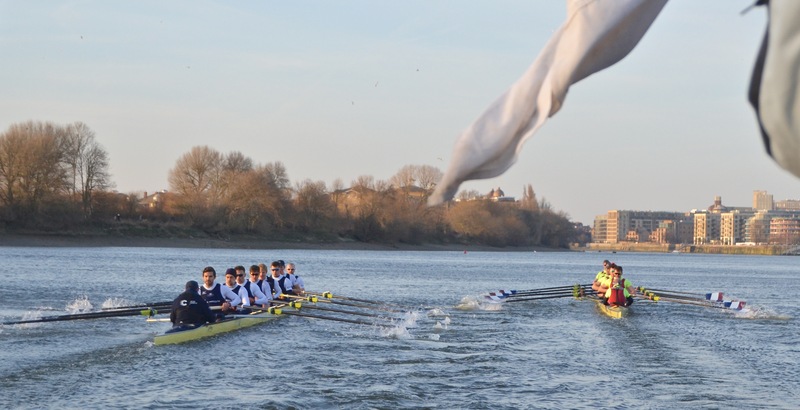 With the finish line in sight, Oxford began to make their move to take the piece, slowly eating into the advantage that Brookes had held for several minutes around the bend. Once Oxford had got back to 2/3 length deficit, Brookes began to push for the line themselves to try and make it two wins from two. 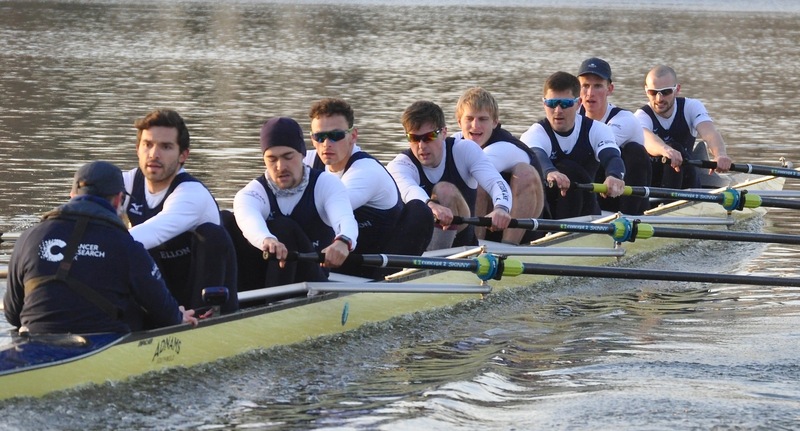 With their final effort and after the sustained effort on the outside of the bend by Oxford, Brookes managed to break out to a little over a length to win. A warning from Umpire Garrett. Approaching the brewery at Mortlake, the finish at Chiswick Bridge in sight. A second win for Brookes. Although we might hope for warmer conditions on race-day, conditions were typical for this time of year and made for a stern test of the crews. Both crews were visibly exhausted by their efforts. Two results to give Sean Bowden something to think about. 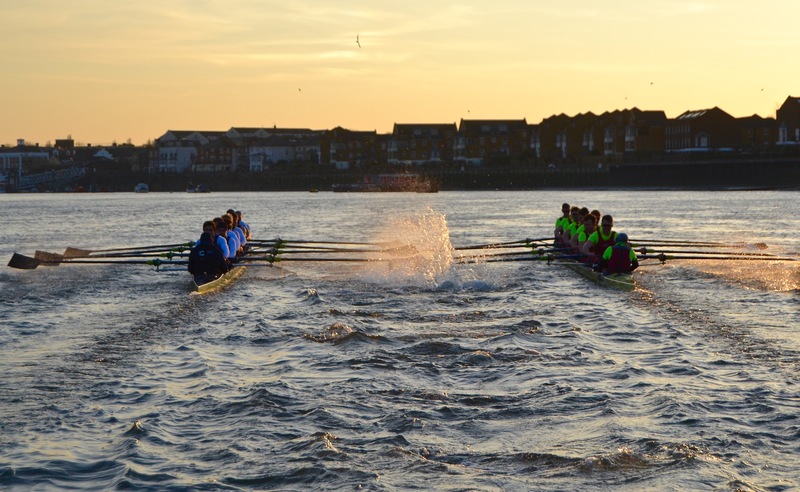 The official report on the women’s race is here, and Oxford’s men’s and women’s fixture crew lists are here. 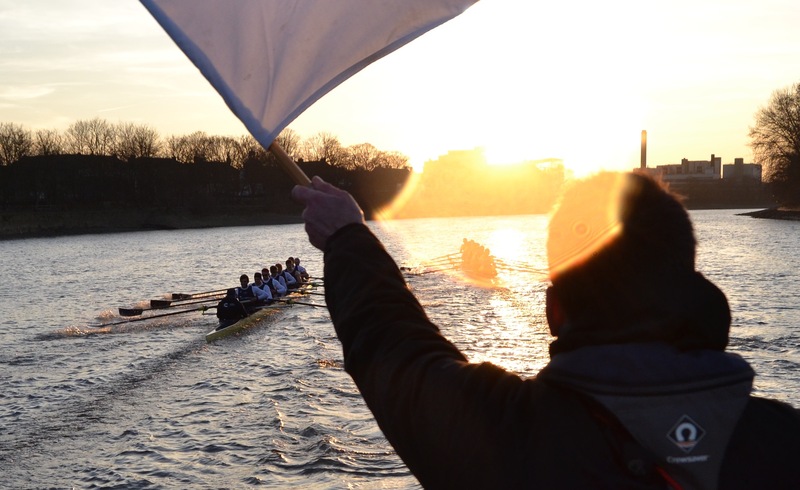 The final Oxford and Cambridge crews for Boat Race Day 2018, 24 March, will be announced at the weigh-in today, Monday, 26 February.